Nothing can ruin the look of your coffee maker like a peeling hot plate. Spill just a little liquid on the pad when you pull out the coffee pot, and it can burn off the paint, leaving an ugly surface that is prone to rust. Instead of purchasing a new model, you can keep your machine working longer and looking better by fixing the hot plate. 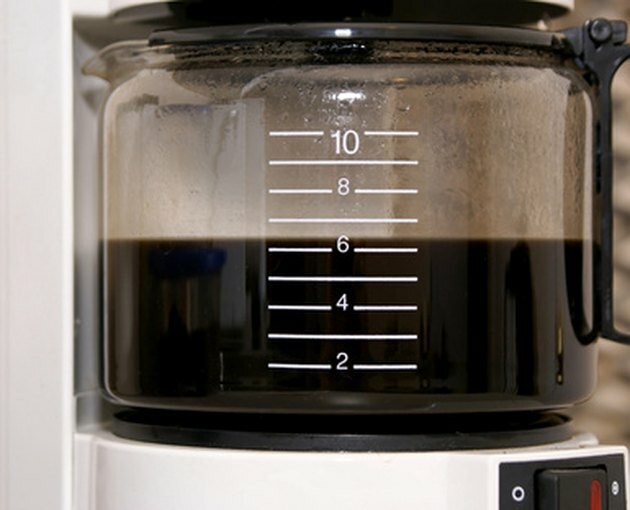 You can make your coffee maker look new again. Measure the diameter of the circular hot plate surface. If your hot plate has ridges,or another nontypical design, you may have to adjust your hot plate cover to fit only the flat central part. Trace the circular outline of the pad onto the paper. Cut out the circular disc using the scissors and lay it flat on a piece of metal sheeting that matches the look of your coffee maker. Outline the shape of the paper circle onto your metal sheeting using the marker. Cut out the circle using the hacksaw. You should now have a metal disc the size of your hot plate. Place your metal disc on your hot plate. It may require additional sanding with metal sandpaper to ensure a good fit.